Purchase, leasing, and operation of forklifts are an expensive investment to manufacturing companies. In addition, they can get involved in accidents that create a big safety risk to your business. Improve equipment usage, reduce accidents, and improve productivity with Litum IoT's RFID forklift tracking system. Monitor the usage and movement of vehicles on your facility map. Our forklift tracker software uses a combination of real-time monitoring, data collection to streamline company operations and automated alerts for forklift accident prevention. The forklift tracking system is ideal for large warehouses, industrial facilities, loading docks, and construction sites. Forklifts can come with extra costs and production delays thanks to poor utilization, inefficient routes, and accidents. Our RTLS forklift tracking system allows managers to monitor vehicle usage over time by different operators to glean information about work productivity, vehicle efficiency, and which forklifts are being underutilized. You can also use spaghetti diagrams create a visual display of the routes followed by each forklift during the day. The RTLS collision avoidance system prevents accidents involving other vehicles and people by monitoring their proximity. Our system provides a 360-degree awareness of the local environment. A built-in forklift safety system will also alert the operator to a potential collision with plenty of time to stop using visual and audible alarms. Track forklifts using ultra-wideband (UWB) RFID tags that are durable enough for indoor/outdoor usage. 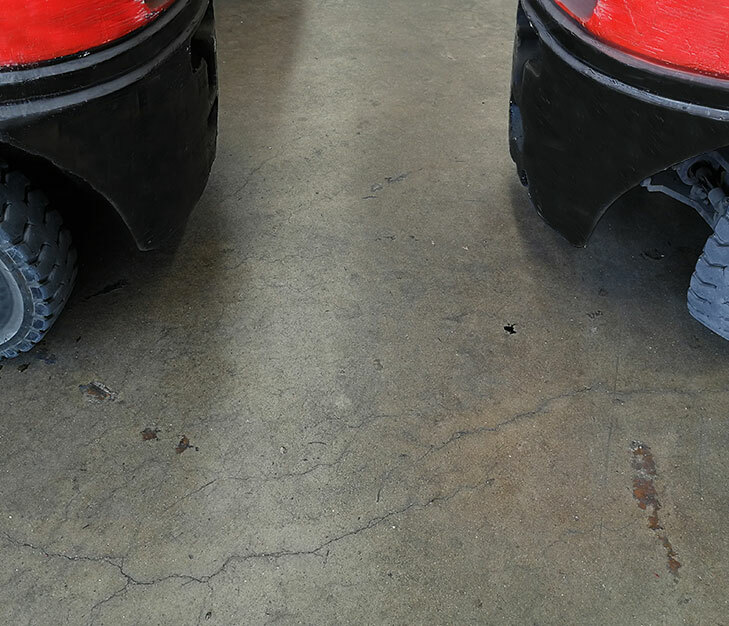 Powered by the forklift battery, our tags never need manual removal for recharging. Our fixed receivers (anchors) and gateways throughout your facility monitor tag movement in real-time with submeter accuracy. 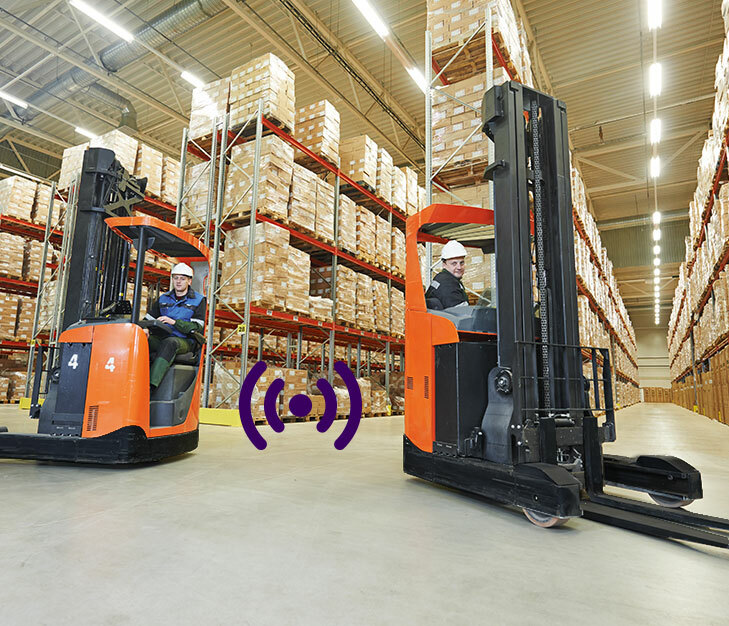 Each forklift tracker can also be equipped with sensors that pick up vital information about the vehicle and environment. Our system also allows managers to schedule maintenance and repairs, check maintenance history. Since 2004, Litum is helping medium to large businesses with improving productivity and cutting their costs through IoT systems. Our RTLS forklift tracking technology comes with all of the required software and hardware as a turnkey solution.